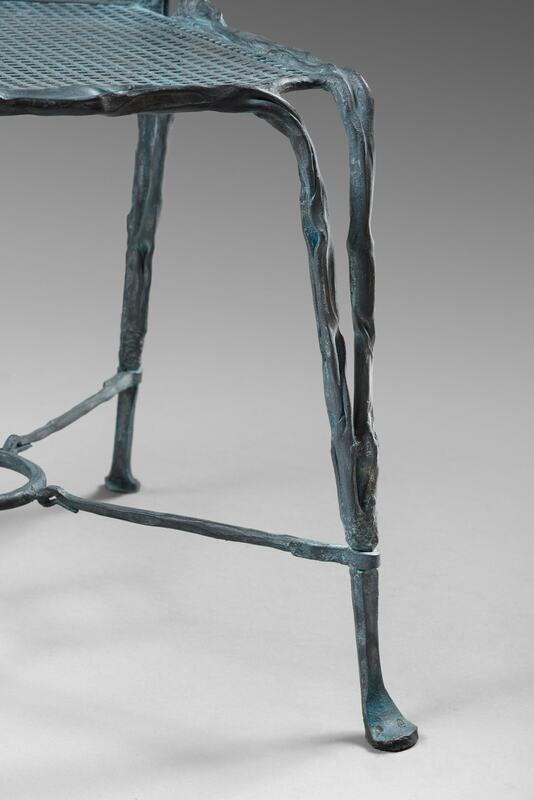 In original blue patinated forged steel, the structure imitates organic elements such as wood. The four feet and the backrest participate in that way in the esthetic of the chair. 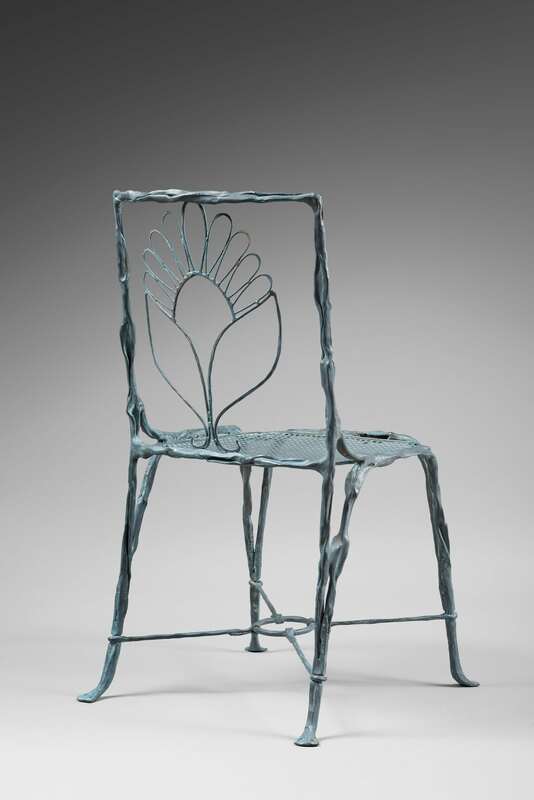 The seat is made of geometrical stell trellis and the openwork backrest is decorated by a floral pattern. 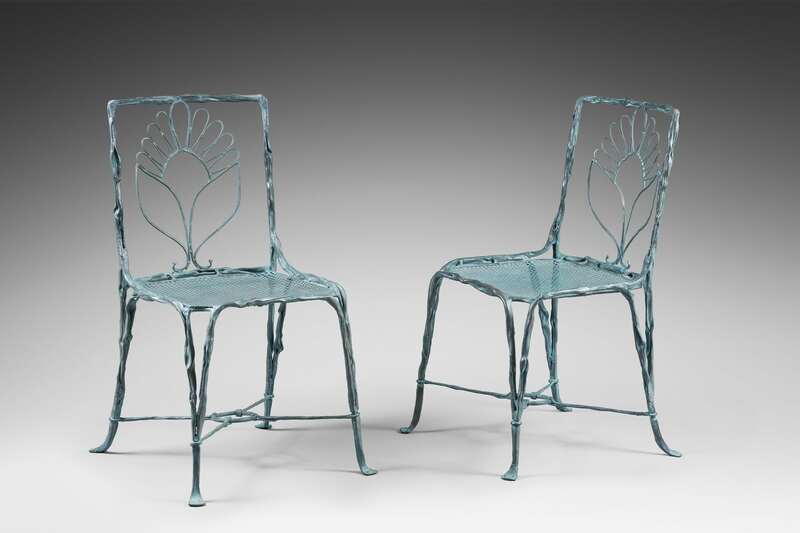 These chairs are typical of Sido and François Thévenin work. Le Clos du Paradis villa in Cannes, France - created in 1992 by the architect Savin Couëlle in collaboration with François Thévenin.